Freddy & Zero: two new allies in the kitchen. Elegant free-standing tall unit comprising a Freddy blast chiller, Zero vacuum sealer and compartment with stainless steel door. The Gourmet tall unit is entirely in glossy black (RAL 9011) painted steel with a black toughened glass cover. 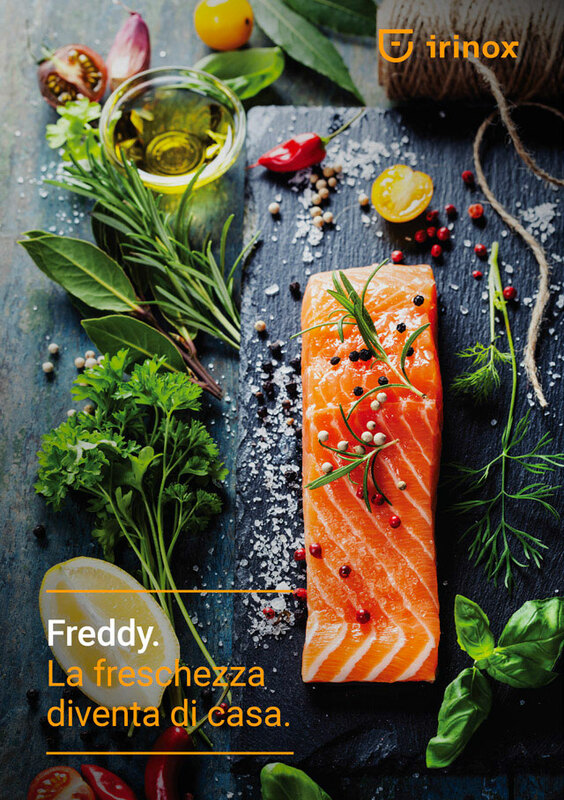 Freddy and Zero are two new allies in the kitchen that ensure quality preservation of food. Food nutrients, vitamins, colours, scents and consistency remain perfect, providing unbeatable freshness. The use of Zero together with the Freddy blast chiller is the ideal solution for preserving vacuum packed cooked food. Food cooked and blast chilled at +3°C and then vacuum packed can be kept perfectly for 14 days in the fridge. If shock frozen at -18°C it can be kept in the freezer for up to 8-10 months.